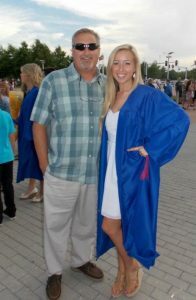 Kaleigh Hennig had to wait four years to save her dad’s life. After she finally was allowed to give him a kidney, she got a scar, a healthy father, a new friend, a new job and a fiance. Don Whitelaw and with his daughter, Kaleigh. It started suddenly in 2012 when Kaleigh was 18. She had just finished high school and was on her way to work when her mother called to say her dad, Don Whitelaw, wasn’t feeling well and was going to the hospital. It turned out his kidneys were failing and no one had known until then. The doctors agreed that Don wasn’t in mortal danger at the moment and that he should continue dialysis. So he did. For four years. After a while, Don was allowed to do his dialysis at home overnight but that meant being in bed at a set time every evening to give the machines time to run. But Kaleigh watched him decline and after four years, she was done waiting. “I decided that I’m old enough now to make my own decisions,” she said. So she went in for testing. So did her dad’s sister, some of his friends and Kaleigh’s mom, but it was Kaleigh who was the match. 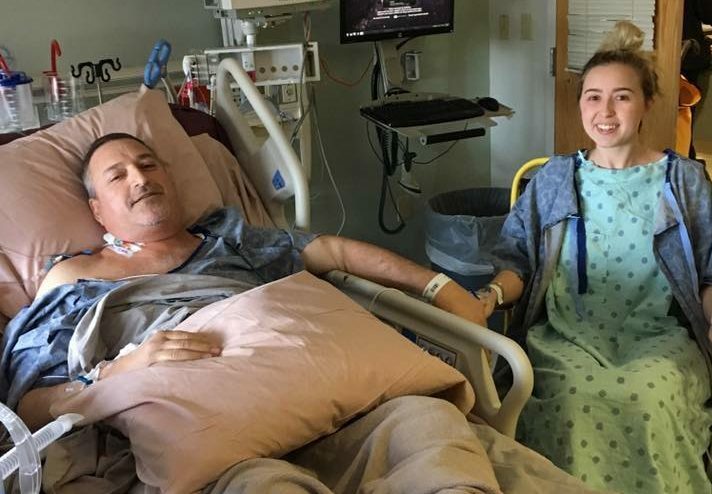 Four years after she got the call that her dad was headed to the hospital, Kaleigh was once again on her way to work when she got a different call – this time it was the transplant center, telling her that she was a match for her father’s kidney. That was in 2016. On Dec. 13 of that year, Kaleigh and Don went in for surgery. There were no complications and there was even a side benefit. Kaleigh had been dating Eric Hennig off and on for 10 years. 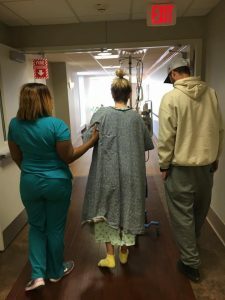 They weren’t together when she found out she was a match but as she was getting ready for the transplant, Kaleigh started thinking that just in case it didn’t go well, she wanted him to know first how she felt. She called him and they talked and began dating again before the transplant. But it did go well. After the surgery, Kaleigh had six weeks of recovery. Since she was living at home, she and her dad recuperated together, with a lot of help from her mom. “She never complained even though she was taking care of two people,” Kaleigh said. “It was cool because while I was struggling in the first two weeks, I got to see my dad. He looked so good and felt so good,” she said. After two weeks, Kaleigh had turned the corner as well and after six, she was as good as new. A few months later, she started a new job at Urology of Virginia where they provide care for transplant patients. She’s an administrator there, checking in pre- and post-transplant donors and recipients. And a year-and-a-half later, Kaleigh and Don still like to tell people that she’s now got one kidney while he’s got three. Kaleigh and Eric on their wedding day. The major difference for the family though, is Kaleigh’s new husband, Eric. The two were married on St. Patrick’s Day 2018 and returned from their honeymoon on Mother’s Day. 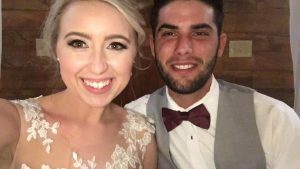 Kaleigh wasn’t the only kidney donor in the wedding party. One of her bridesmaids had donated a kidney to a stranger – a young father whose parents had put out a public appeal for help as he lay dying of renal failure. The two chatted and found out they had mutual friends. They ended up meeting and hitting it off and becoming close friends. When Kaleigh married Eric, her new friend was there. So was Kaleigh’s dad – with all three of his kidneys. Living donation saves lives. Find out more about the program and how to become a living donor in Virginia. 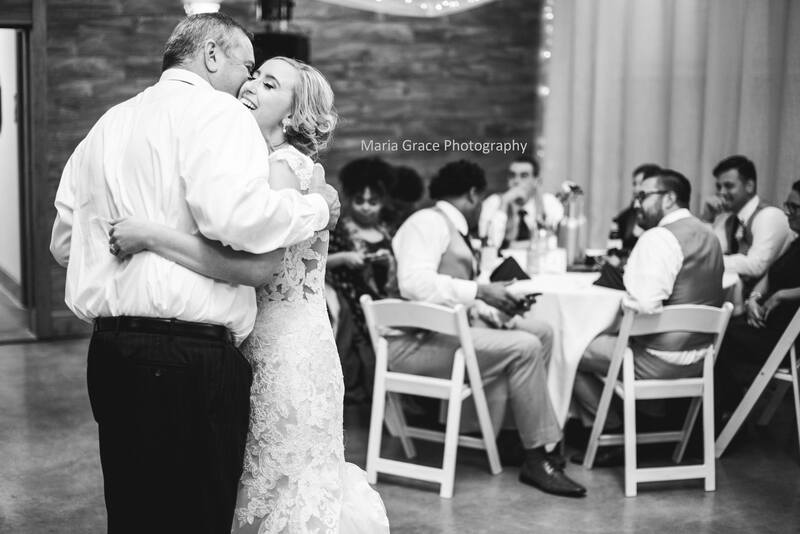 Kaleigh and her father dancing on her wedding day.